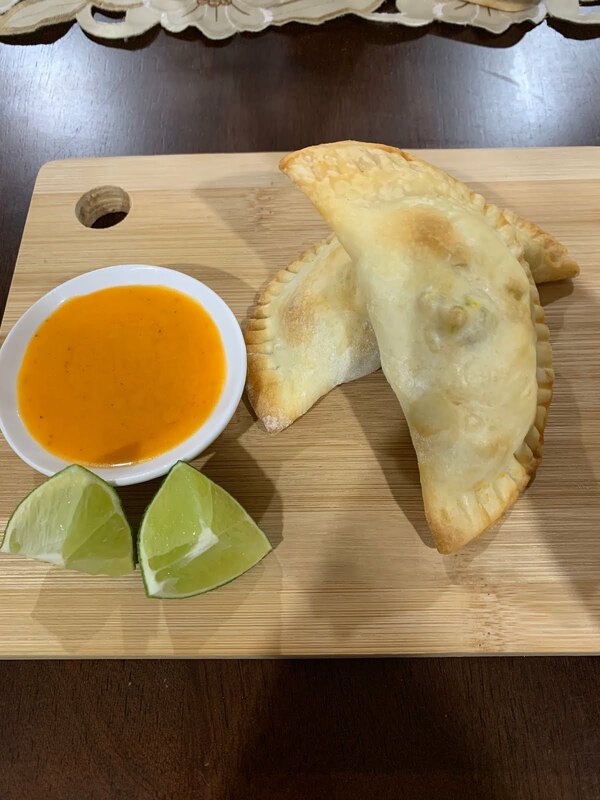 Welcome to my personal blog, I am currently working full time, work full time and trying to manage my blog at the same time for those reasons I haven't been posting constantly. I am not trying to find an excuse but I wanted to share a little what is going on my personal life. 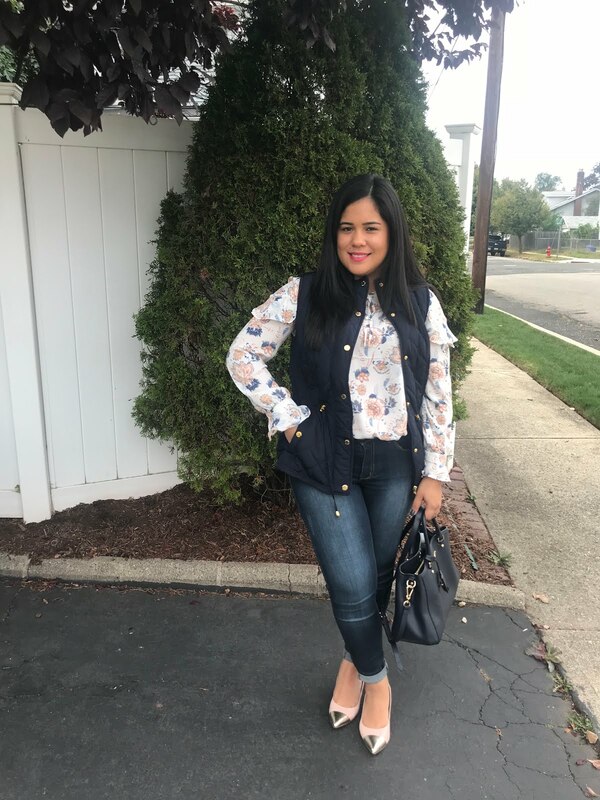 Yesterday (Sunday) I wore this outfit for church and then lunch with mom, I love wearing vest (any colors) and specially it is blue!!! 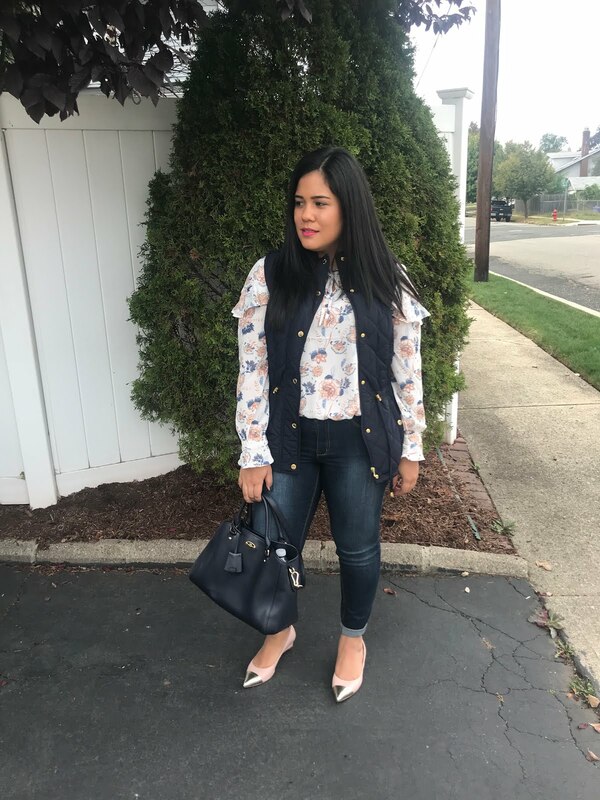 I paired it with my new denim and a blouse with print to add a little something to the outfit. 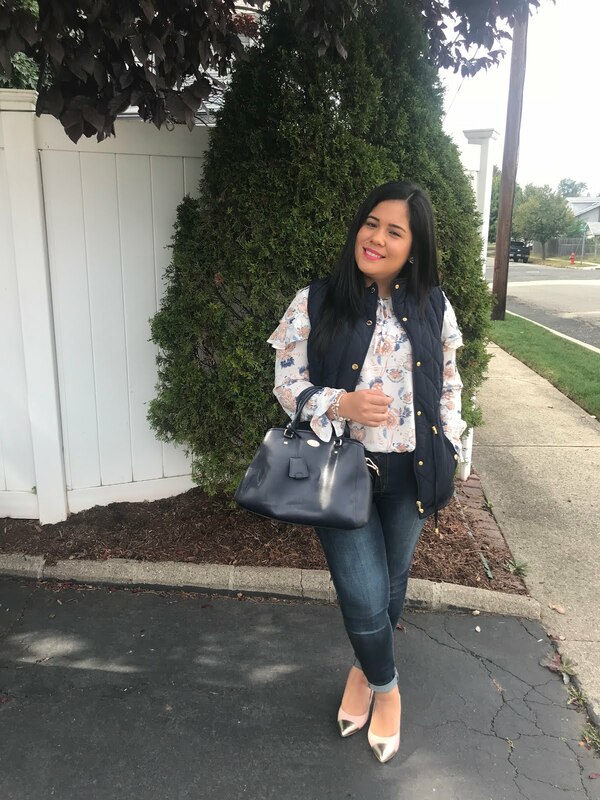 The most important thing is to feel comfortable and confident with your outfit and accessories, I paired it with pointy wedges and a blue handbag to balance the outfit. I added a little pop of color with my pink lipstick. Your navy jacket is totally cute! This is such a pretty combo! 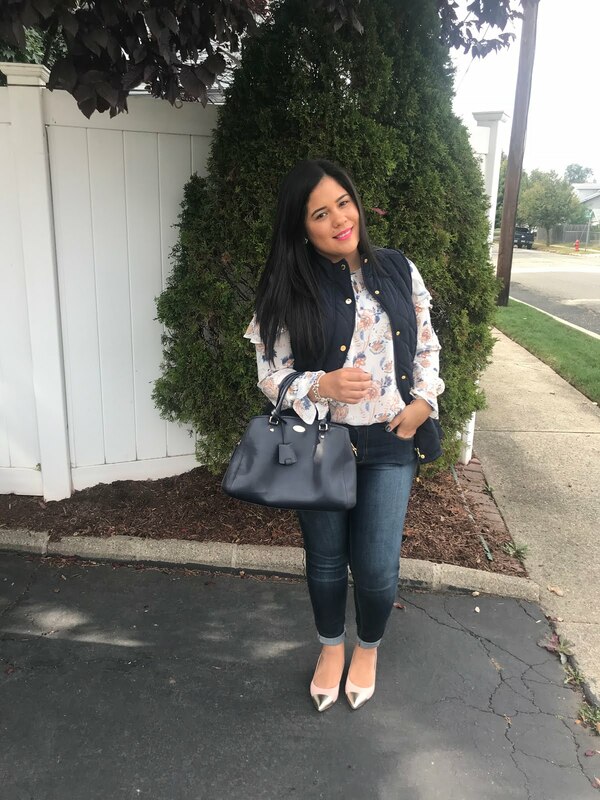 Love that floral top! This is SUCH a cute combination! You look FABULOUS! Such a pretty blouse - I love the ruffles! I love the colors in this outfit! 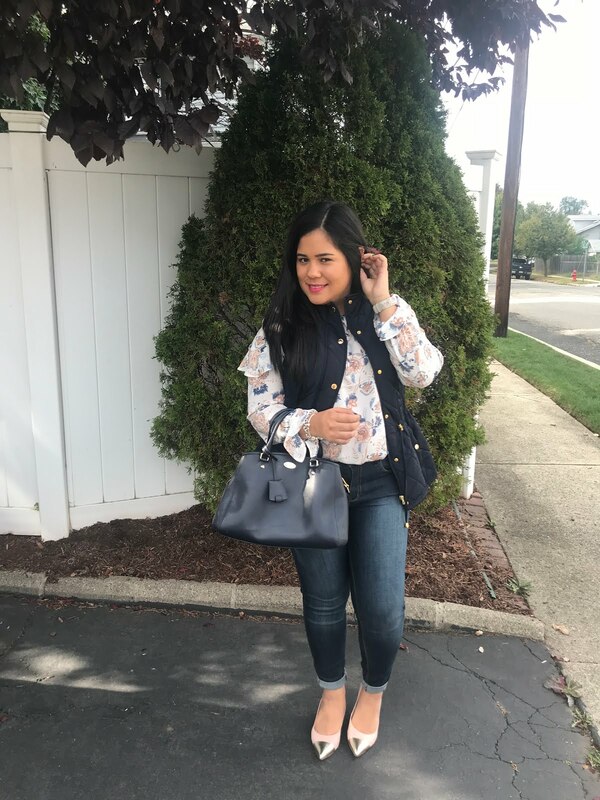 The blush and navy is an unexpected, but beautiful color combo for fall! This is such a pretty look! I love the mix of the feminine blouse with the vest and those shoes are gorgeous! 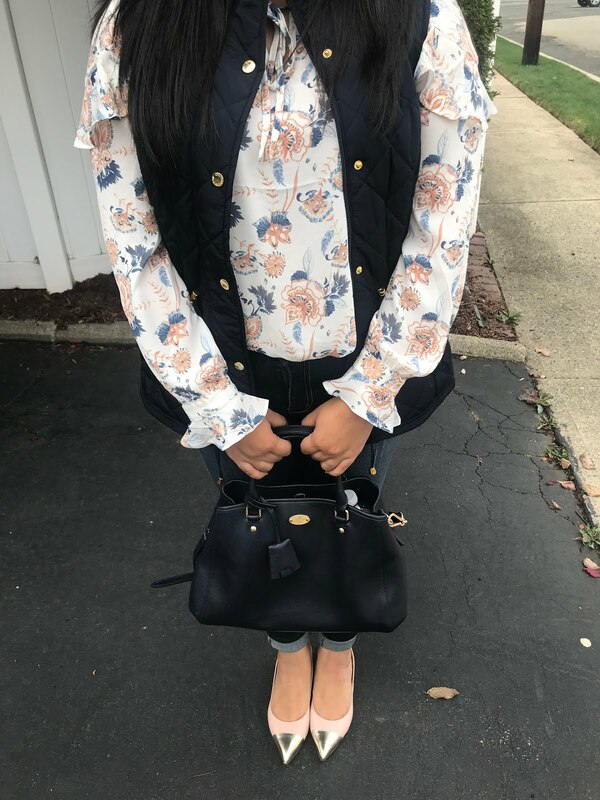 such a cute blouse and i love the vest!